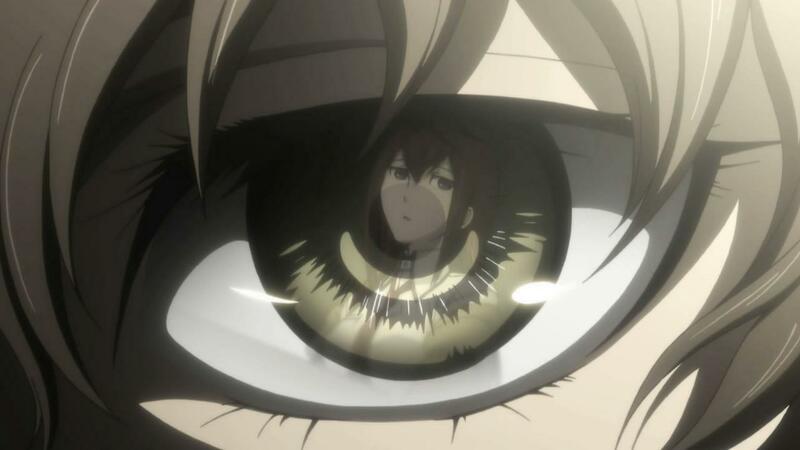 The beauty of Steins;Gate is in the details. If you’re the type of person who wants elaborate fight scenes or giant mechs in their anime, your first instinct will be to steer clear. But if you do, you’ll be missing out on terrific characters, a tremendous story, and some of the best English voice acting you’ll ever find in a dub. Okay, you’re probably lost already. That’s understandable. Here’s what you need to know going in: Okube essentially ends up with a time machine, although it’s the type that sends information to the past and not people. Hey, stop rolling your eyes at the mention of “time machine.” I know, I know, pop culture has a pretty sporadic track record when it comes to time travel mechanics. More often than not you get some half-assed context and some mumbo-jumbo about paradoxes and whatnot. 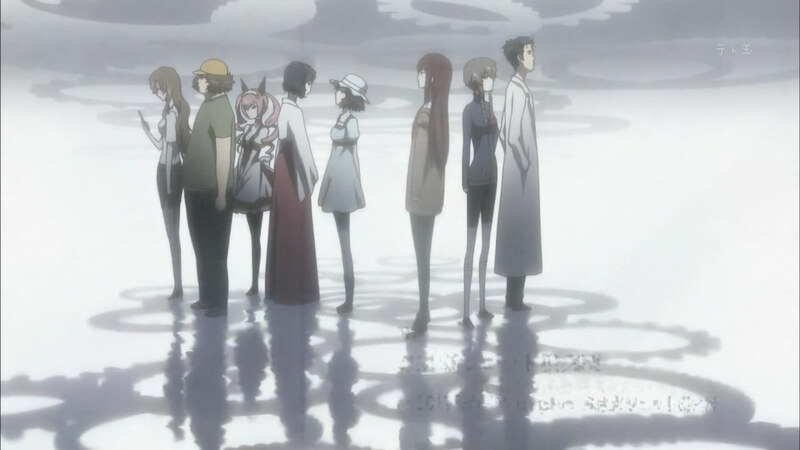 Steins;Gate is different – it explains each of its new concepts along the way, then follows those rules without fail. The reason all of this works is because of the cast of characters. On first glance, S;G probably looks like a harem show. There are a bunch of females and they’re all surrounding a male protagonist, right? Luckily, that’s not the case here at all. Instead, the others all have their own identity and motivations, and their personalities continue to be fleshed out as the show goes on. The writing is tight, sharp and witty. The translation is impeccable, working in some English-specific references and still maintaining the glib innuendo originally featured in the Japanese version. The characters develop in ways that will send you through the gamut of emotions. Again, no spoilers in this review, but playing around with the fabric of time has consequences. It’s how the cast reacts to these changes that makes the show worthwhile. The structure of the episodes fits perfectly within the theme. This is something I can’t explain particularly well here, but suffice to say that the early episodes (while a tiiiiiiny bit slow) are necessary to set up the group’s friendships and their interactions with each other. But once you get about a fourth of the way through the show, be prepared for the ride to take off. What the show lacks in SUPER COOL POWERS AND FIGHT SCENES, it makes up for with gripping drama. Okube finds himself in a unique position that has its perks, but also its downsides, and his evolution becomes one of the major plot points. As mentioned in the lead, the voice cast is tremendous. Similar to a few other cherished titles like Persona 4 and Fullmetal Alchemist, many fans have a hard time choosing whether the dub or the original is superior, but they can agree that both are fantastic. J. Michael Tatum’s work here — insane prattling and evil laughter one moment, impassioned pleas and frantic quick thinking the next — is top-notch. I’d love to go into more details, especially about some of the finer points of the second half of the show. But I can’t without introducing some plot points that are better off being experienced on your own. 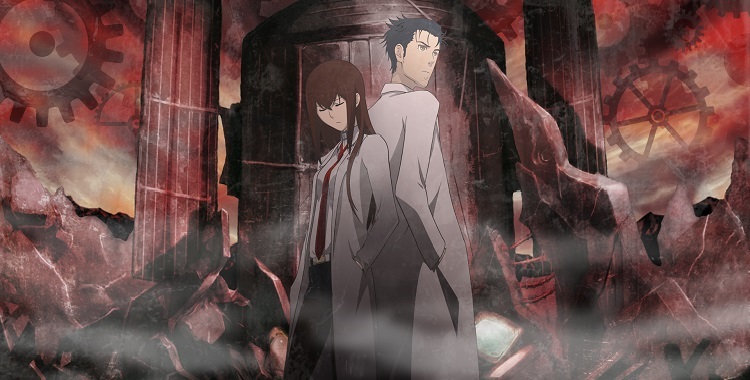 Here’s the bottom line: If you’ve ever enjoyed anime (or even if you haven’t, but you like good storytelling without fanservice or melodramatic acting), check out Steins;Gate. It went a bit under the radar when it was first released, but it vaulted up near the top of my list for both anime and television in general. I like time machines, so no eye-rolling here! 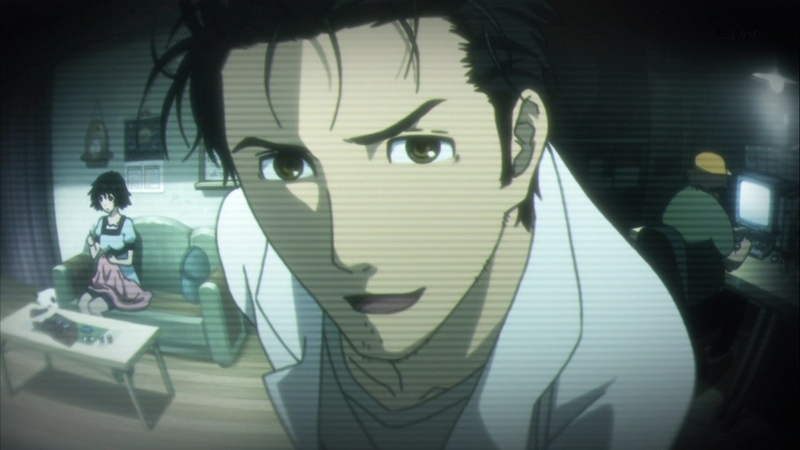 What a fantastic series Steins;Gate is, and “gripping” is definitely the best word to describe it. Have you seen Robotics;Notes? I’m thinking of checking that out and would love to read a review if you have one! I haven’t had a chance to watch Robotics;Notes yet, although I’ve been considering it. I’ve heard decent things about the series overall and excellent things about Frau. It’s near the top of the queue for things I might watch next, though.